In mid-April, the International Airline Group acquired 4.6% of the shares of Norwegian Air Shuttle ASA. Since then, IAG has made two bids to fully acquire the hybrid low-cost carrier and has been rebuffed both times. Norwegian has dramatically expanded its route map over the past few years, taking advantage of the range capability of its new Boeing 787s and 737 MAX 8s. The airline has disrupted the long-haul model with low fares on attractive routes, and its red-nosed aircraft are regularly appearing at new airports. But that expansion has come at a financial cost, with the airline reporting a €30 million net loss in 2017, compared to 2016’s €116 million profit. Is it simply that IAG sees a struggling airline that’s ripe for a takeover, one that’s growing too big, too fast? “IAG may be asking, ‘If we buy Norwegian, at the right price, do we take out a competitor that could wreak financial harm by charging lower fares than we are able to profitably match?’” Harteveldt said. The attractive US market is the prize here, and that’s where Norwegian has been growing the fastest. In summer 2017, the airline became the eighth-largest over the Atlantic, a remarkable 42% increase with 245,000 extra seats since summer 2016, according to James Pearson, senior lecturer in Aviation Management at the University of Bedfordshire, UK. “When added to the capacity of BA, Iberia, and Aer Lingus, clearly IAG would be a very strong force to be reckoned with,” said Pearson. Pearson believes that the acquisition would give IAG increased strength in confronting competitive low-cost carriers . Looking at a combination of its own European LCC Vueling and Norwegian, “passengers would exceed 60 million and they’d have nearly 280 aircraft between them. This would enable IAG, as a group, to better compete with Ryanair and easyJet, the latter with 173 aircraft in service and 80 million passengers,” said Pearson. LEVEL is a small player, and “there’s no question that British Airways and Norwegian would eventually rationalize routes. For example, BA isn’t going to fly from Gatwick to Oakland against Norwegian, if IAG owns it,” Harteveldt said. 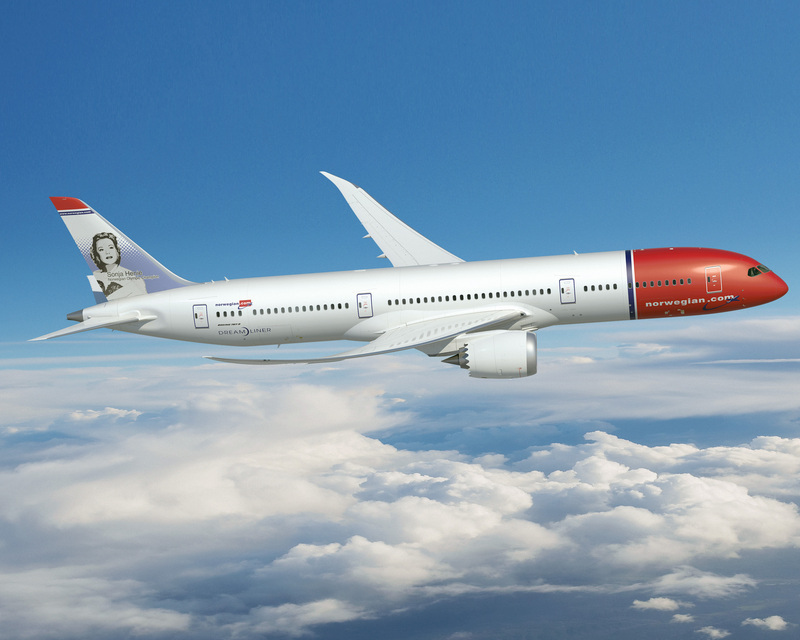 Norwegian’s 787s could be integrated into British Airways’ existing 787 Dreamliner fleet, allowing BA to accelerate the retirement of its Boeing 767s and some larger aircraft. The Airbus A321neos that Norwegian has on order would undoubtably find a home with any one of IAG’s airlines, given the group’s preference for Airbus single-aisle aircraft. Norwegian’s fleet of 737s could stay with the airline, which could continue to operate under IAG’s structure, re-focused on its roots as a regional carrier. However, many of its aircraft are leased, giving the airline some flexibility in managing its fleet. Norwegian also operates its own leasing company, Arctic Aviation Assets. But fleet planning appears to be in flux. The airline’s current fleet is made up of about 150 Boeing 737-800, 737 MAX 8, and 787-8 and -9 aircraft, and it has 250 Boeing and Airbus planes on order. It takes people to fly aircraft, and Norwegian — which has different Airline Operating Certificates and 23 operating bases worldwide — contracts most of its staff through OSM Aviation. The airline owns 50% of OSM, a company that provides “total crew management,” according to its website. That outsourced (and for the airline, cheaper) model may not fly under IAG, where workers are paid under a more traditional model. “I think the labor piece is going to be one of the most contentious, most complicated, most difficult aspect of this acquisition to negotiate,” said Harteveldt. According to Pearson, a deal could take two years to complete if it happens at all. “It would likely face opposition given the size of Norwegian, its presence at a number of key airports Europe-wide, and the trend of consolidation among big airline groups, especially the Lufthansa Group and IAG. I think regulators and unions would be unhappy,” he said. In the meantime, it appears to be business as usual at both airlines. But Norwegian is clearly keeping the matter in its sights. “The Norwegian Board of Directors has established a steering committee and engaged financial and judicial advisors to review the situation, handle relevant inquiries and to safeguard the interests of all shareholders,” the company stated in its Q1 2018 report. IAG includes British Airways, Iberia, Aer Lingus, Vueling, and LEVEL. This mix of legacy, hybrid low-cost-carriers and LCCs has around 550 aircraft, flying over 100 million passengers, annually. Its airlines are all members of the Avios rewards program. Norwegian carried 33 million passengers in 2017, on over 500 routes to more than 150 destinations. Norwegian Rewards is the airline’s loyalty program.